A recording dedicated to the "tambin," the Fulani flute, a little-known instrument from the Fouta Djallon Mountains of Guinea, West Africa. This marks the first time that an album is completely focused on the amazing flute style that was the inspiration for the singing and blowing techniques developed by players such as Rahsaan Roland Kirk and Ian Anderson of Jethro Tull. 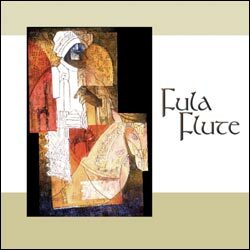 The Fula Flute ensemble is composed of outstanding African and African-oriented musicians in North America. Bailo Bah, the featured soloist, spent 22 years as a star of the world-famous "Ballets Koteba" of Abidjan, Ivory Coast. The band uses a jazz-style approach to the mostly traditional Mande repertoire. The interaction of the two flutes with the balafon and the kora has a hypnotic, enchanting effect, and we think is already a classic.